New Delhi: Maruti Suzuki India Ltd, the country’s largest car maker, has increased the prices of its diesel cars by as much as ₹ 10,000. Demand for diesel cars has increased in recent months as the difference between petrol and diesel prices have widened to about ₹ 30. 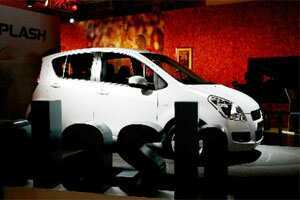 Maruti Suzuki’s new Swift model, introduced in August, has a booking of at least 100,000 units. Of this, more than 85% are for the diesel variant. “The increase is across all the diesel models in our portfolio," the spokesperson said. Maruti’s Swift, Ritz, SX4 and Dzire models have diesel versions. The price increase on the Ritz diesel model is ₹ 2,000, and ₹ 10,000 on the other models. Shares of the car maker fell 3% to end trading at ₹ 1,027.85 on the Bombay Stock Exchange on Monday. The benchmark Sensex fell 0.43%. The company’s profit margin during the quarter contracted 4.2 percentage points from a year ago to 6.3% because of foreign exchange fluctuations that had an impact on its imports and royalty payments. The yen strengthened 20% against the Indian currency in the three months to 30 September, according to Shinzo Nakanishi, managing director of Maruti Suzuki. Maruti’s closest rival Hyundai Motor India Ltd isn’t raising its prices. A spokesperson for Hyundai said there was pressure on the company from rising raw material costs. “But we are sticking to the existing price line. No increase will happen at this moment." A Tata Motors Ltd spokesperson said the company does not give pricing projections.